Custom Silicone Bracelets: Debossed, Debossed and Color Filled, Printed. NO Mold/Set-Up Fee! 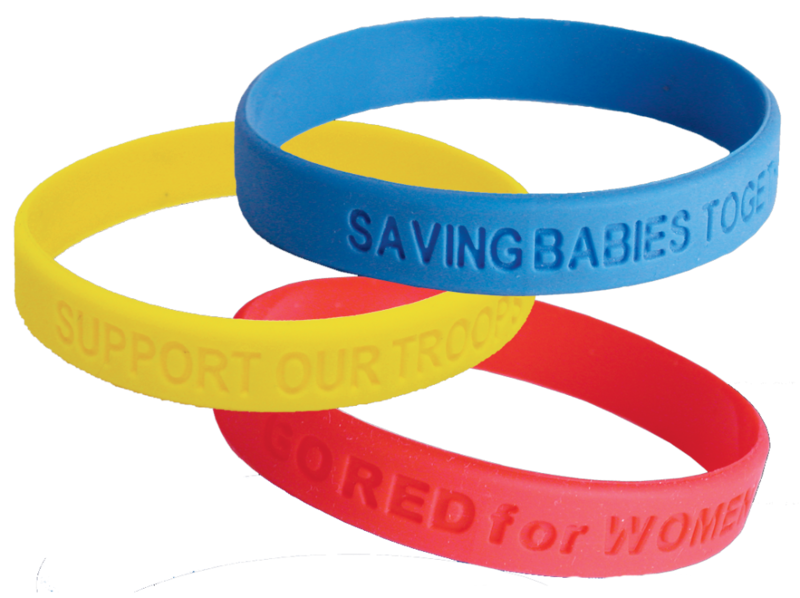 Prices include 1/2″ wide bracelet, mold fee, PMS color matched silicone rubber, packaged 100 pcs/poly bag. 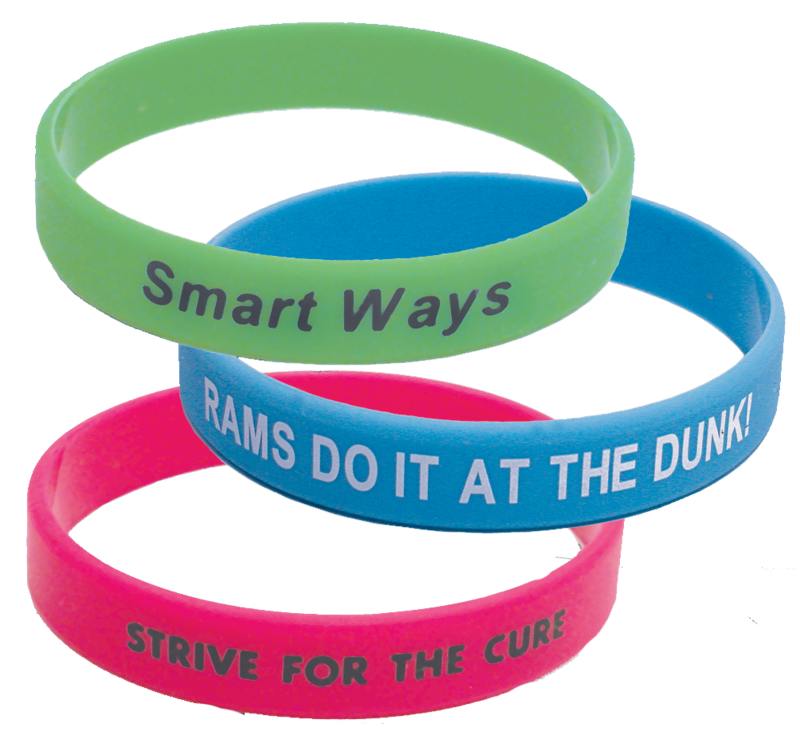 SB-CI, Prices include 1 color imprint. Please add .08 (R) and $ 40.00 (V) screen charge for each additional color. 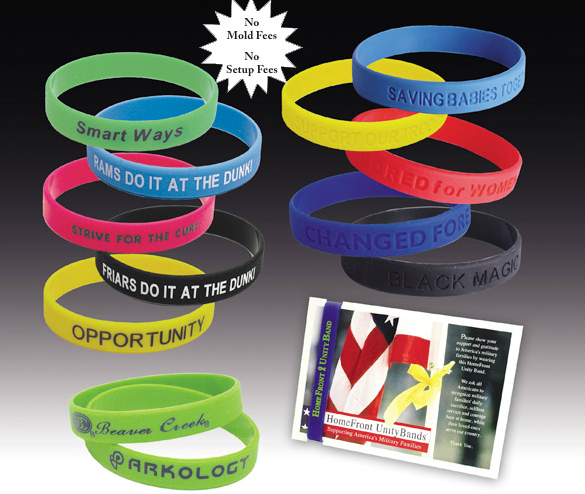 Contact customer service for 1″ wide bracelet pricing.